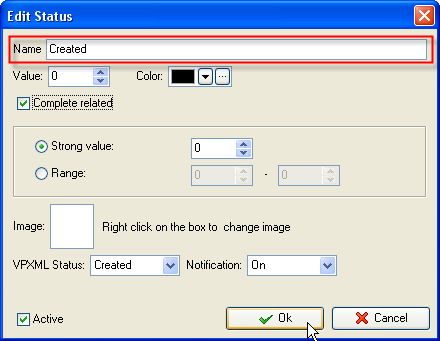 Task status "Created" shows that this task was added and assigned; however, has not been started yet. Task Status "Approved" notifies that the assigned resource confirmed the assignment and is ready to do the task. 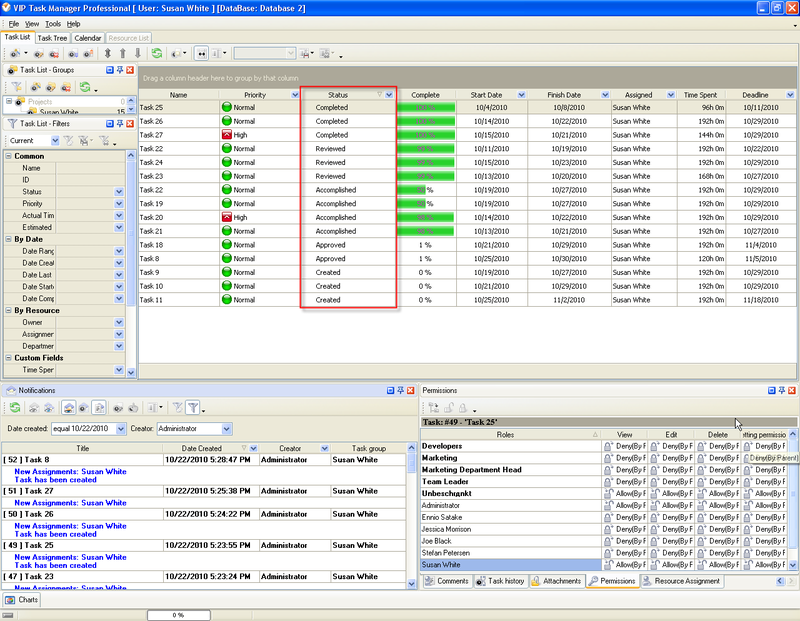 Task Status "Accomplished" shows that the resource has finished the work on the whole task or its part and the task is pending to be reviewed. 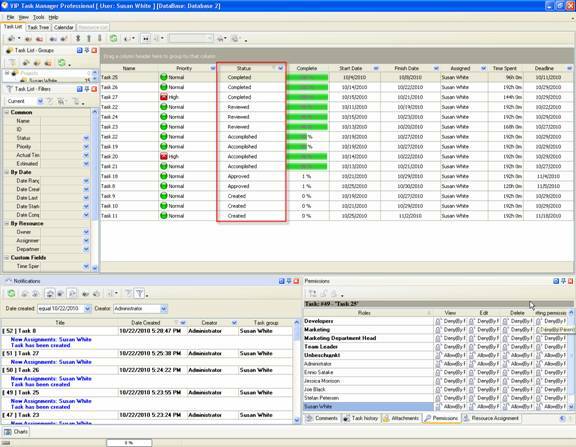 Task Status "Reviewed" means that the superiors or resources with appropriate permissions checked the task and confirmed that all steps were done correctly. Task with status "Completed" is successfully verified and all its interested parties have achieved what it was set out to do. 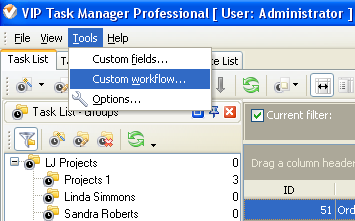 In Name field enter custom field name, for example, "Workflow 20". Click "Ins" button, enter the status name "Accomplished" in Name field and click "Ok" button. Click "Ins" button, enter the status name "Reviewed" in Name field and click "Ok" button.